When you’re in the market for some contemporary storage units the market in New York City is a tough place. There are plenty of storage facilities that tout their rooms as contemporary rent storage units when in fact there simply concrete closets with a deadbolt on the door handle. This aspect is where we here at Moishe’s Self Storage really differ. We come out on top in every facet, whether it’s customer service, reliability, affordability, or ease of use. The quality of every single one of our facilities is bar none the best in the city, and there are plenty of reasons why. If you’re tired of dealing with storage facilities that plan to take your money and throw you to the wolves so to speak, then pay a few extra dollars a month to receive the service you deserve. Moishe’s takes care of our customers and their property in a few simply ways. The first being our outstanding customer service. All you need to do is check our reviews to see how we differ from most facilities in the country. We’re consistently rated the highest in the city, even enough to compete with the facilities in the other fifty states. First, we take care of your storage needs and get you in the best room for your requirements. then, we grant you accessibility to every storage room you rent from us throughout the city. If your property needs to be accessed at three in the morning then feel free. If you’re worried about your safety, or the safety of your property worry not. 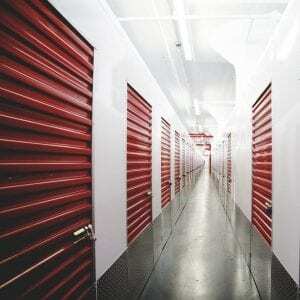 If you’re interested in renting a storage room from us then call in at (800) 536-6564. Our professional storage advisors will put you in a room to fulfill your needs at the lowest price that we can. If you’re tired of searching for self storage near me and coming up with low quality storage units go to our our Queens storage location or our Bronx storage location. Call now and start renting with the best storage facility in the city. Allow one of our representatives to create a custom-tailored quote to fit your exact business storage needs. Contact Us for Custom Quote Validating... Fix form errors before continuing. Submitting... Successfully Submitted! Something went wrong. Contact Us.